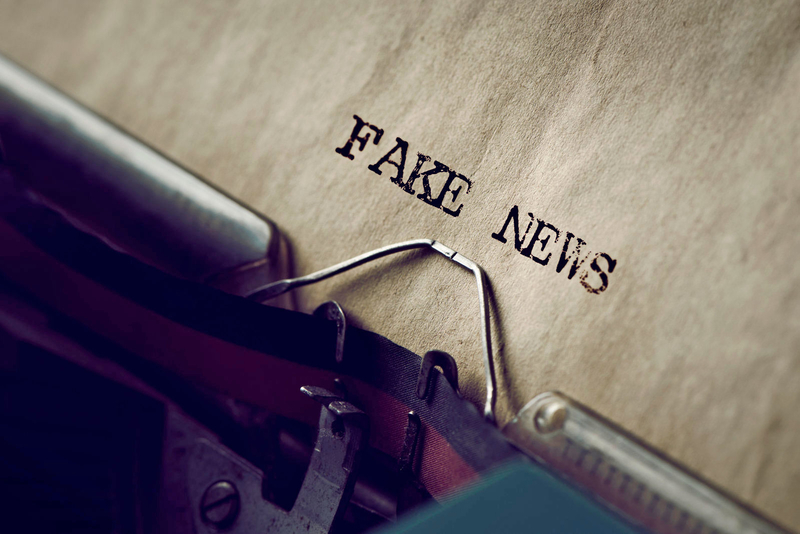 Angered by the mainstream media's negative coverage of his nuclear summit with North Korean Dictator Kim Jong-Un, Trump tweeted Wednesday that the "fake news" press was "our country's biggest enemy." CNN'S Wolf Blitzer came to the defense immediately. "We are not the enemy of the American people. We love the American people," he said. 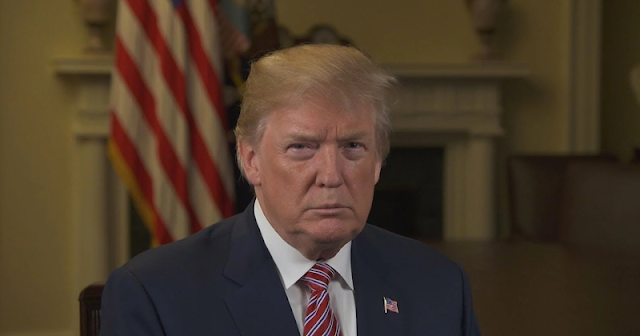 President Trump on Thursday trolled Hillary and Obama who warned he would tank the economy during the 2016 presidential campaign. 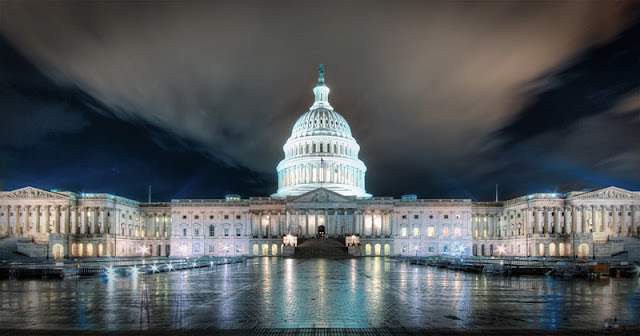 The Washington Examiner reports: "The total number of workers receiving unemployment benefits is running at the lowest levels in 44 years, the Department of Labor reported Thursday in more encouraging news about the economy." TRUMP IS WINNING! INDICTMENTS COMING FOR MCCABE, COMEY ,CLINTON AND OTHERS! Trump Is Winning! The President is ready to drain the swamp and the indictments are coming for McCabe, Comey, Clinton and others! Today the jobs report came out and analysts say its "phenomenal. "Make America Work Again is happening - The unemployment rate is at an 18-year low as 223,000 new jobs are added to the economy. Correspondingly, the record for the number of working Americans has been broken nine times since Trump has become President. Barack Obama weaponized the FBI, the IRS, the NSA, the FISA court, and the CIA. Indictments of those responsible for this criminal action will reaffirm America as a nation of laws and not of people, no matter how big and untouchable those on the left think they are. Sitcom star Roseanne Barr said she’ll look at ways to “fight back” after her hit show’s abrupt cancellation. “You guys make me feel like fighting back. I will examine all of my options carefully and get back to U,” Barr tweeted. It’s possible ABC might have broken a contractual agreement for which Barr may be able to seek damages. Barr clarified she’s not “racist,” as the mainstream media and others have made her out to be. Monday’s news was influenced by President Trump’s Sunday tweet demanding that the Dept. 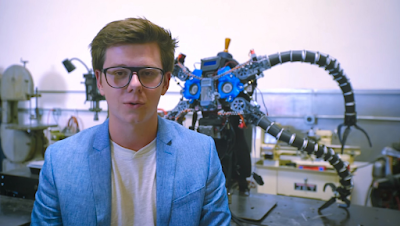 of Justice find out whether Obama’s FBI or DOJ “infiltrated or surveilled” his 2016 campaign. Deputy Attorney General Rod Rosenstein echoed Trump’s demand to investigate political operatives infiltrating Trump’s presidential campaign. 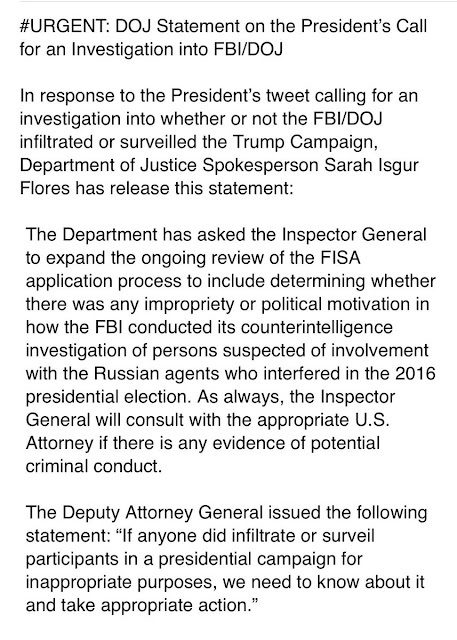 “If anyone did infiltrate or surveil participants in a presidential campaign for inappropriate purposes, we need to know about it and take appropriate action,” Rosenstein said in the official statement you can read below. 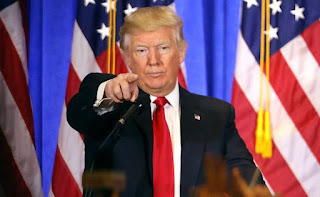 TRUMP RIPS BRENNAN... CIA SPY SPOOKED? Failed former CIA director John Brennan is in full PANIC mode. Anti-Trump Resistance activist Brennan demands GOP leadership STOP TRUMP before his admin looks into this. 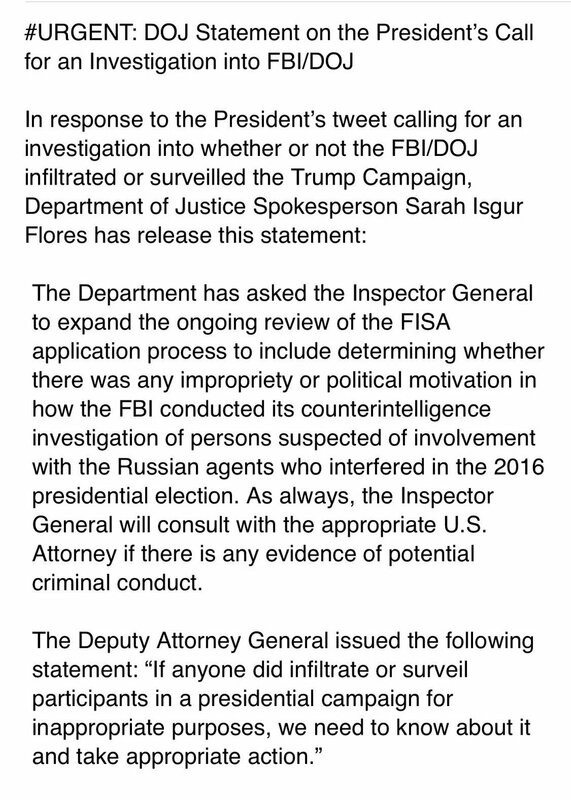 On Sunday 05/20/2018, President Trump said he was demanding the Department of Justice “look into whether or not the FBI/DOJ infiltrated or surveilled the Trump campaign for political purposes” during the last months of the Obama administration. Shortly after that, Deputy AG Rod Rosenstein. Brennan seems troubled by Trump’s tweet. 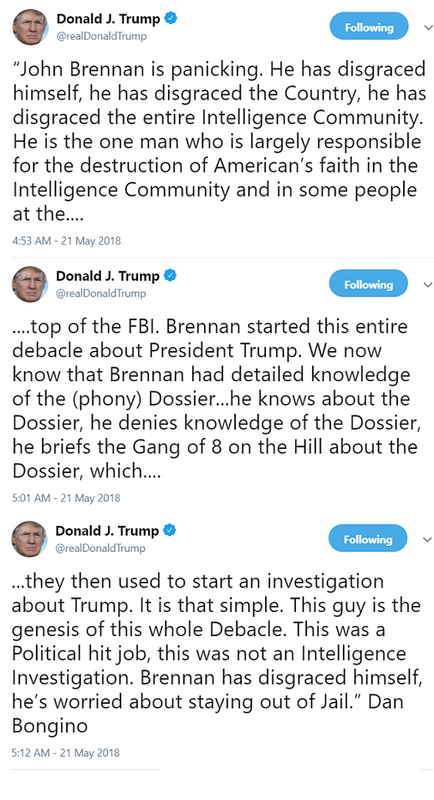 On Monday 05/21/2018, President Trump shares quote ripping Brennan: 'This guy is the genesis of this whole debacle'. “'John Brennan is panicking. He has disgraced himself, he has disgraced the Country, he has disgraced the entire Intelligence Community. He is the one man who is largely responsible for the destruction of American’s faith in the Intelligence Community and in some people at the top of the FBI,” Trump wrote on Twitter. 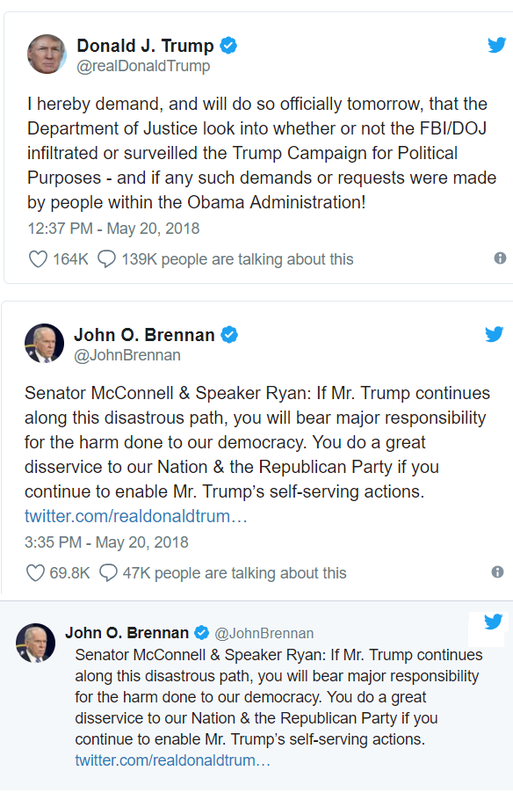 “'Brennan started this entire debacle about President Trump. We now know that Brennan had detailed knowledge of the (phony) Dossier...he knows about the Dossier, he denies knowledge of the Dossier, he briefs the Gang of 8 on the Hill about the Dossier, which they then used to start an investigation about Trump,” the president added. “'It is that simple. This guy is the genesis of this whole Debacle. This was a Political hit job, this was not an Intelligence Investigation. Brennan has disgraced himself, he’s worried about staying out of Jail.’ Dan Bongino,” Trump said. CLASSIFIED MEMO RELEASED READ IT ! President Donald J. Trump has approved the release, without redactions, of the classified Nunes memo on alleged FISA abuses. The FBI issuing a public statement to express its "grave concerns about material omissions of fact that fundamentally impact the memo's accuracy."